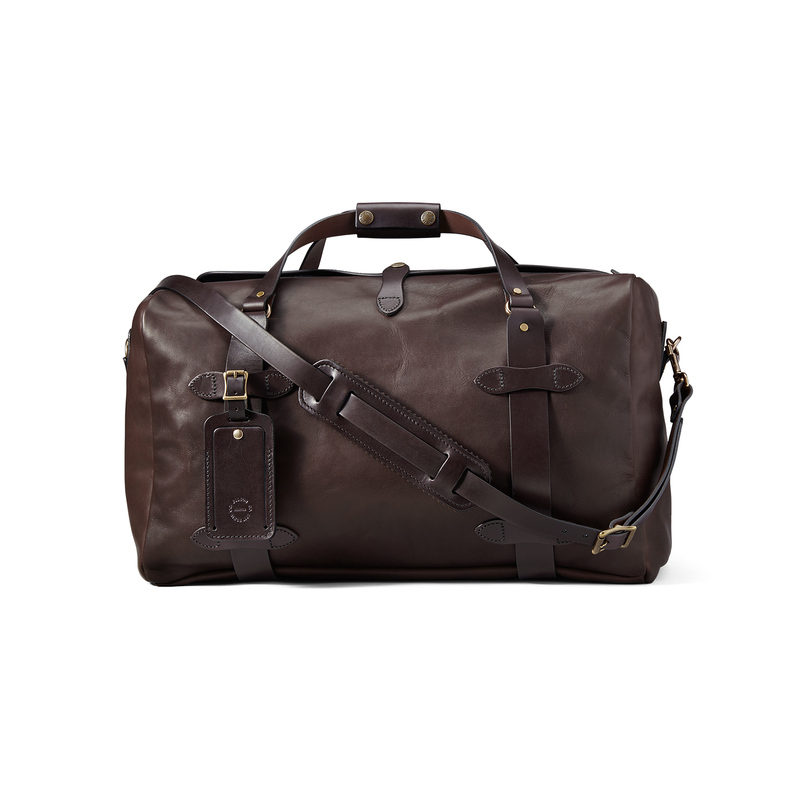 The new Weatherproof Duffle Bag is made with a proprietary leather that’s vegetable-tanned by Wickett & Craig, the 150-year-old Pennsylvania tannery that makes the Bridle Leather for Filson. 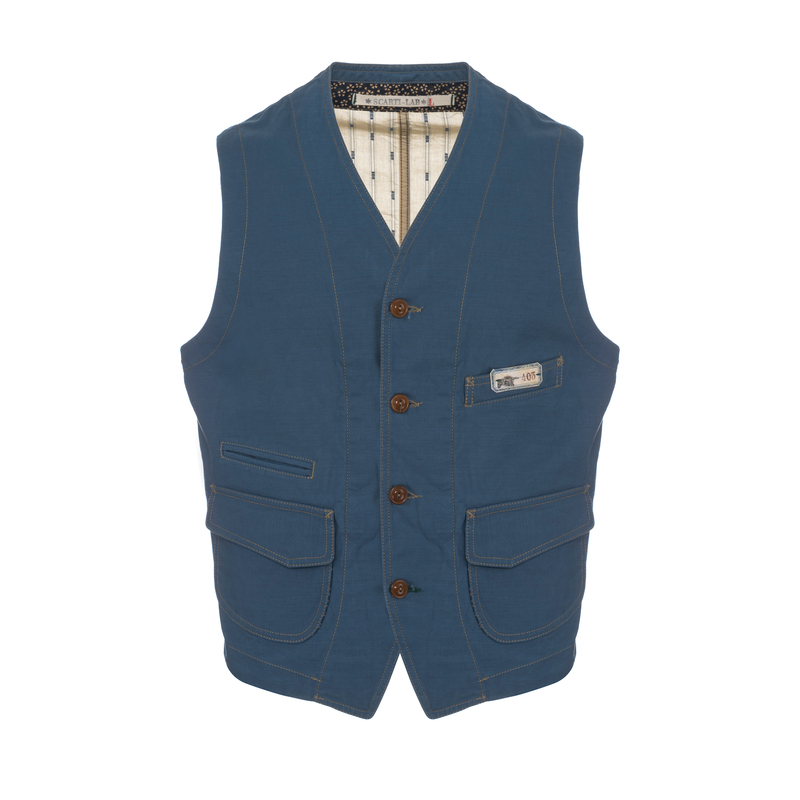 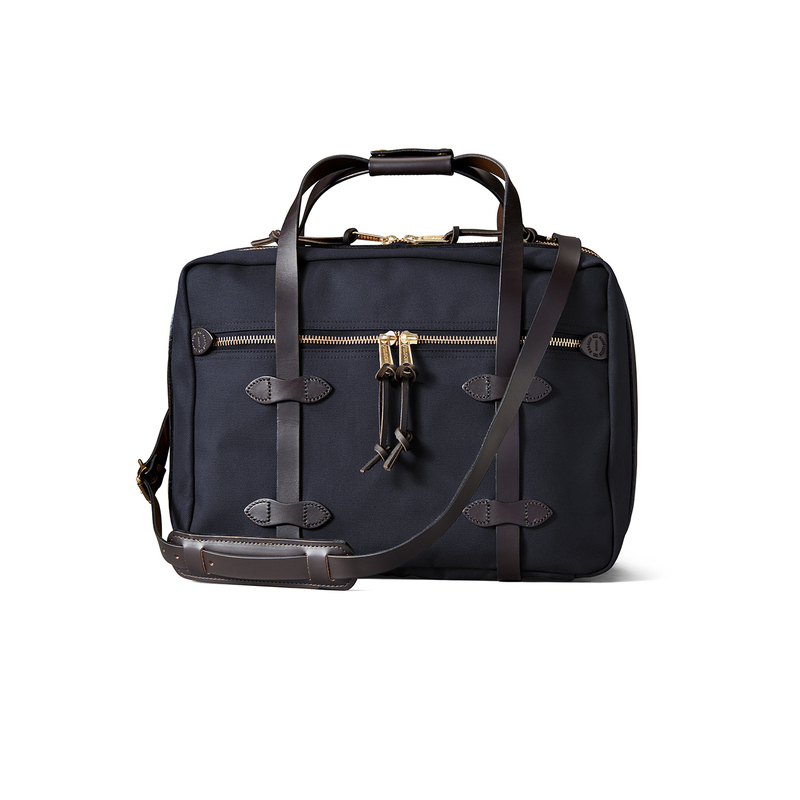 Wicket & Craig developed together with Filson this special boot-grade leather that is weather- and salt water-resistant, then added solid brass hardware and a wool felt-lined shoulder strap-pad for comfortable carry. 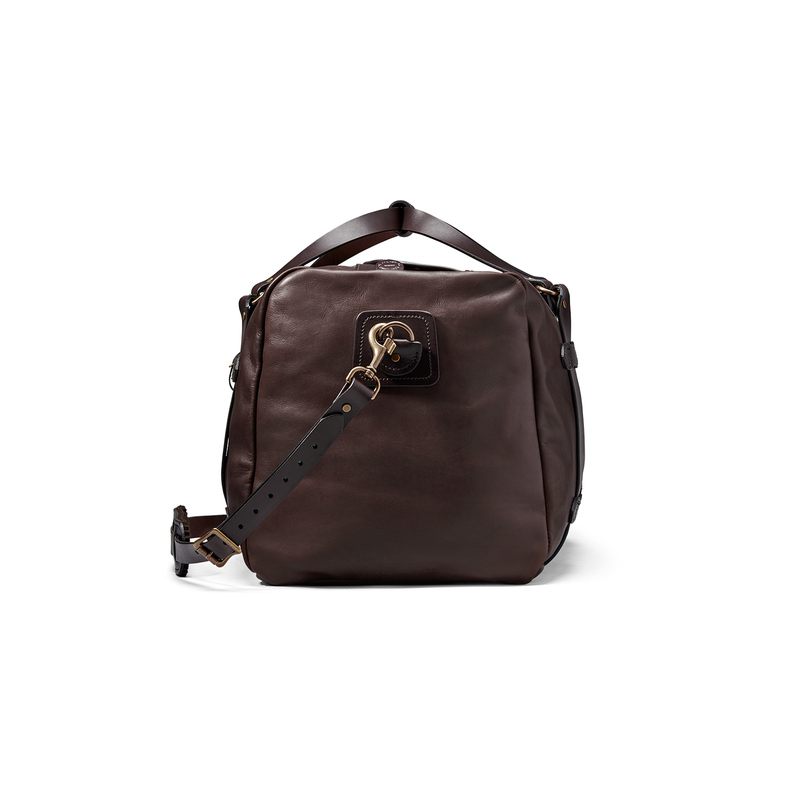 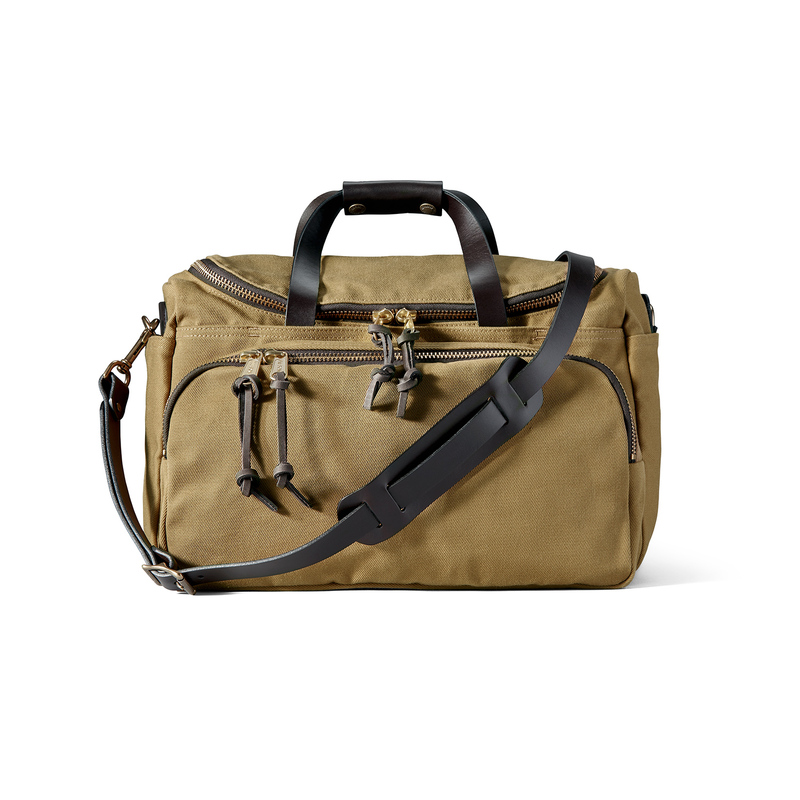 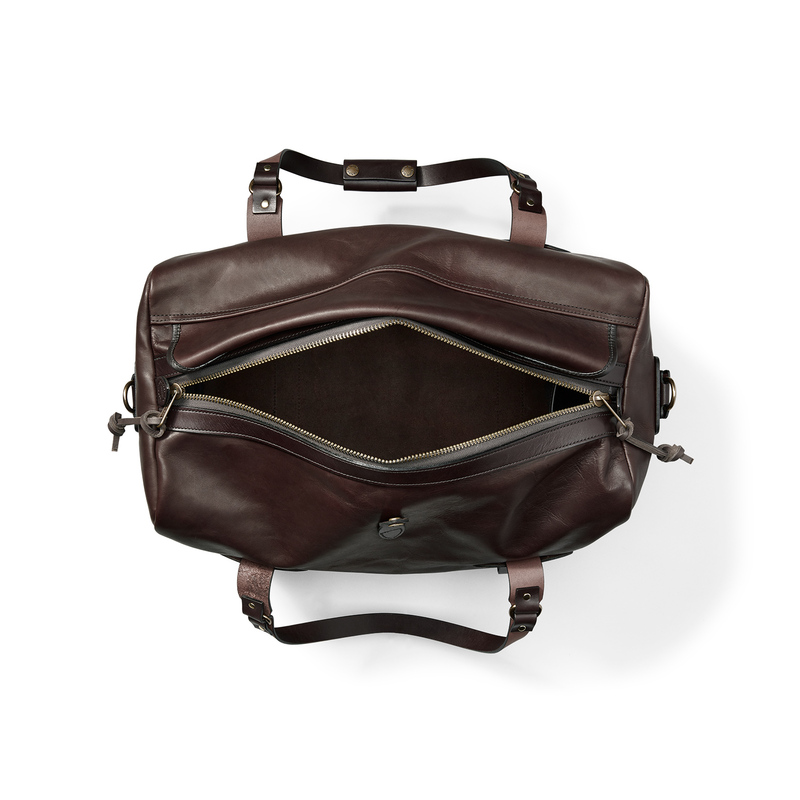 Built with more capacity than you’d expect from an overhead-friendly duffle, this bag features Bridle Leather straps wrap around the circumference of the bag, so that it can hold more than you can carry.